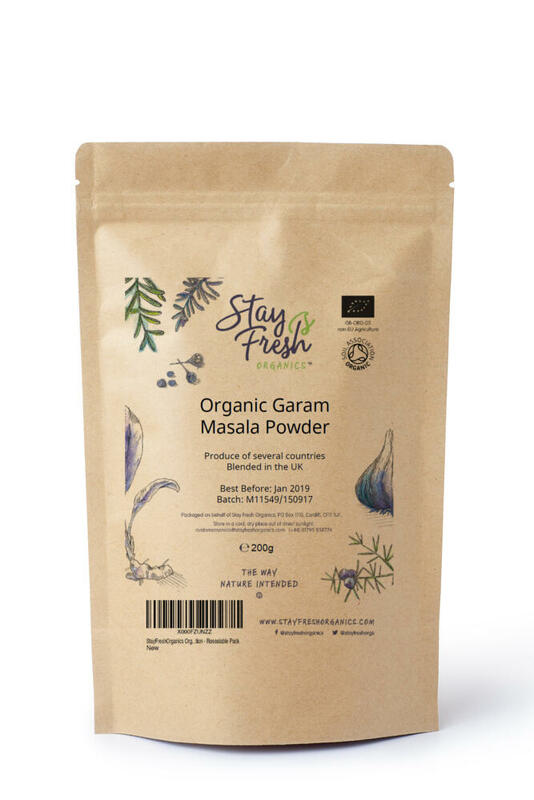 Stay Fresh Organics’ organic garam masala features an aromatic blend of seven ground spices: coriander, cinnamon, cumin, cardamom, cloves, black pepper and nutmeg. It can be added as an ingredient to many Indian and South Asian recipes. 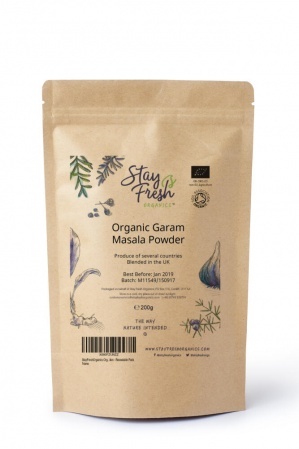 According to ancient Ayurvedic texts, garam masala was born because it provides the right balance of warmth and heat for optimal metabolism. It's wonderful for body, mind and soul. Try it with brown rice, simple lentil dishes, cauliflower, soups, curries - the list is endless!